Promotion banners are a great way to advertise your website. There are many different template designs with unique characteristics and smart layouts. You can choose any style that will allow you to resize and edit the banner according to your needs. Trade shows are great for advertising new products or services. 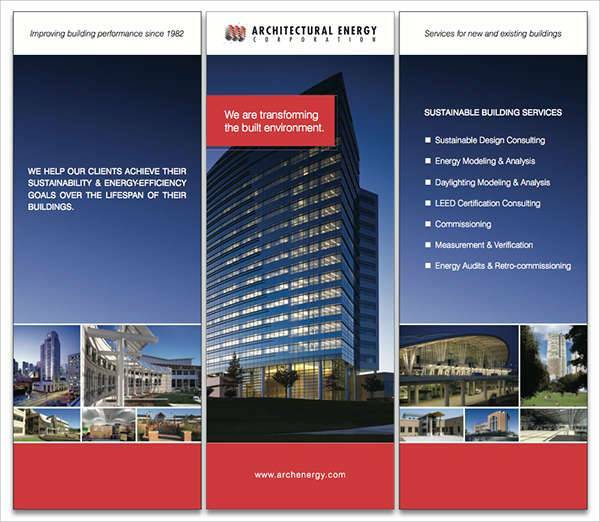 You can have a trade show banner to help raise awareness for your business. 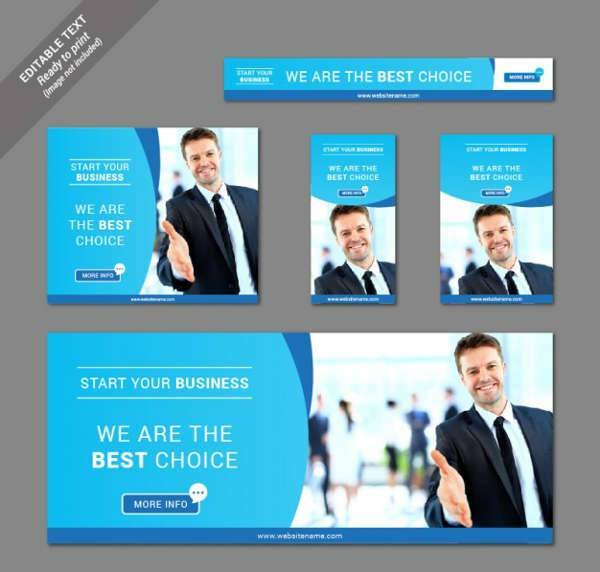 There is a multitude of creative template banner designs you can choose from in pdf, jpg and eps format files to customize and fit your purposes. Banners allow people to make statements or to promote ideas. Similarly, they can showcase spiritual guidance for religious purposes. 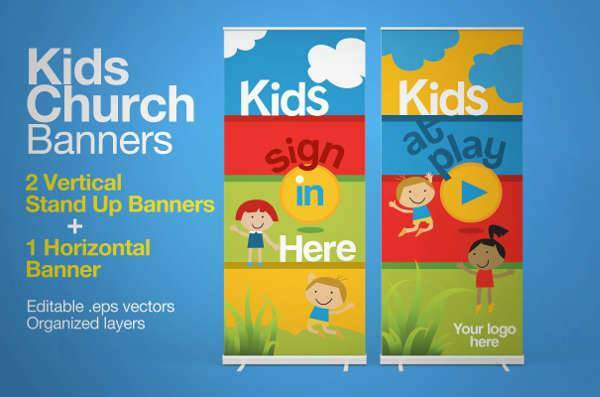 A church banner design can help promote many religious events. The variety of templates has many different designs with color combinations and layouts that will achieve the desired result. School banners have to be selected depending on the education level the school offers. 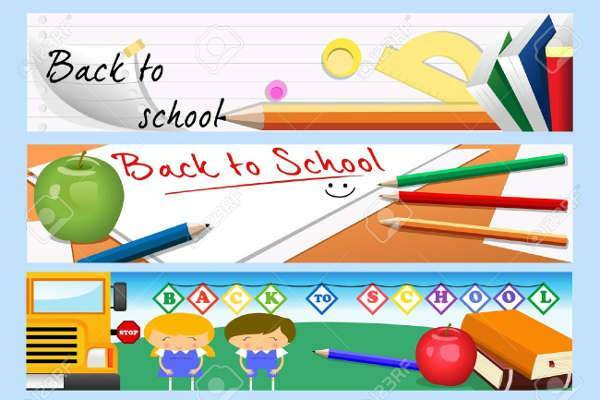 For elementary schools, the bright colors will be eye catching while for colleges a professional look will be ideal. 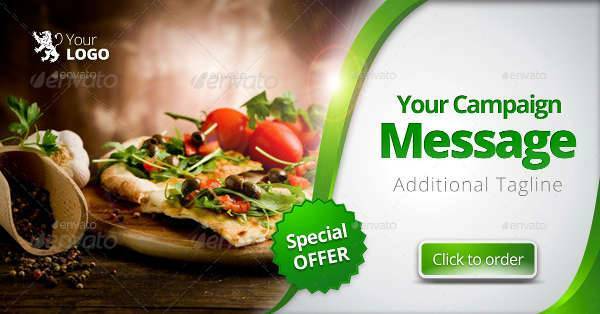 You can choose from a great selection of banners in psd and esp format files. Draw attention to your restaurant with a creative banner. The bright colors in combination with tantalizing illustrations are going to appeal to everyone’s visual tastes and make them come find your business. 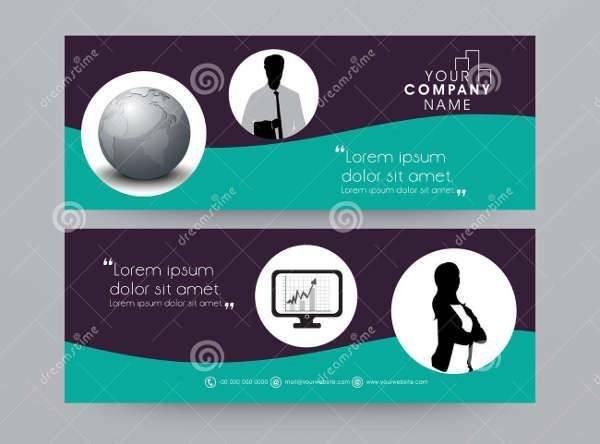 There are available banner templates in most known format files. These are also suitable for café banners. Professional banners need to be just that, professional. 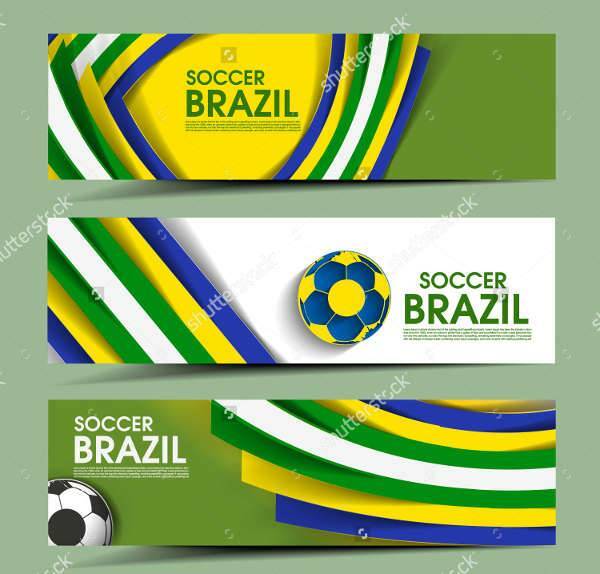 Bold colors in abstract designs or geometric patterns will look stylish and elegant to promote a company or a business advertising its professional status. Find amazing designs in jpg, psd and pdf format files and customize them accordingly to fit your needs. A wedding banner can look cute and romantic or creative and funny. 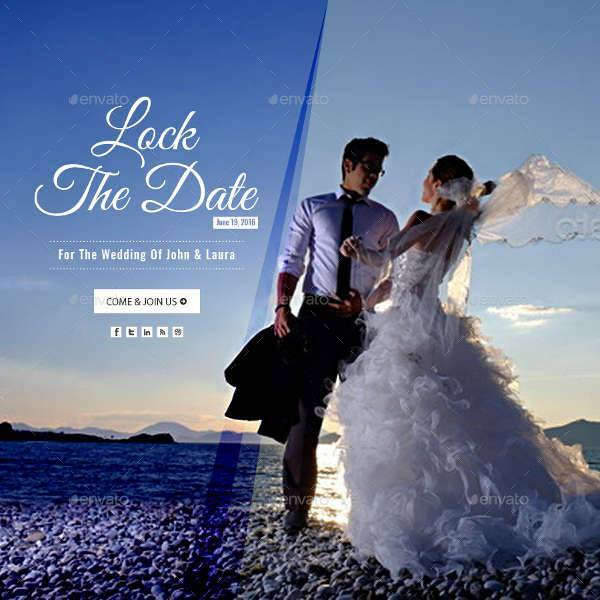 You can decide based on the desired result from a great variety in wedding banner designs. Templates like these are available in almost every format file that you can edit and customize the colors and size. A business banner needs to showcase professionalism and authenticity towards competition. A smart and creative design will give extra points to the advertised business. Choose the appropriate design from a variety of templates that come in most known format files. 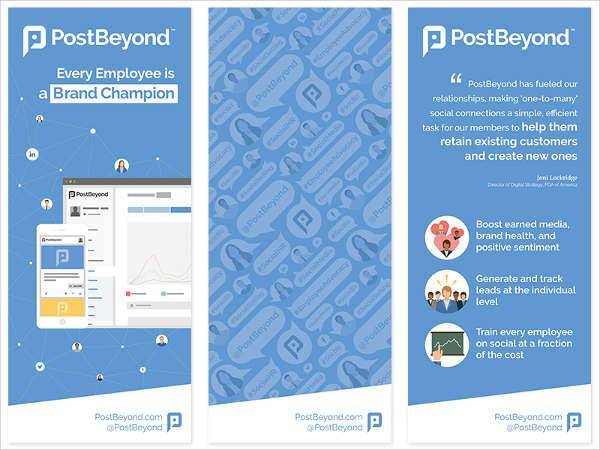 You can resize and moderate your banner accordingly. 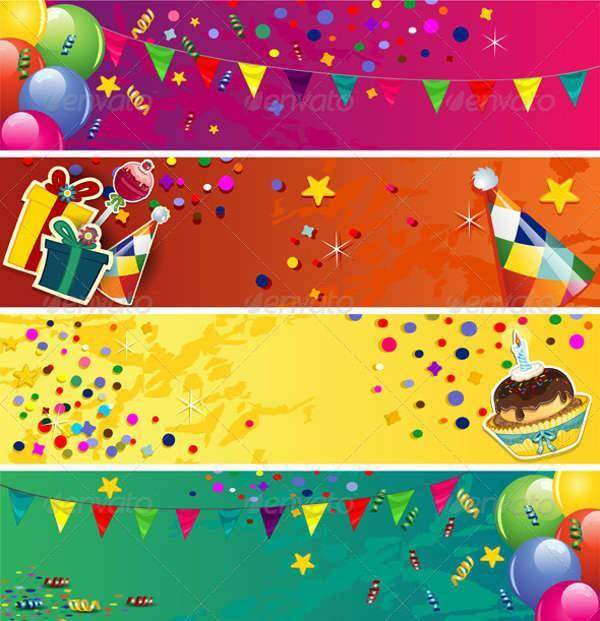 Birthday banners are amazing for birthday parties’ decoration. You can choose the right one following age criteria and personal preferences. There are many designs that you can choose from. There are templates for birthday banners available in psd, and jpg format files. Ready to print versions will save you time. Different events call for different banners. However, you can choose a standard banner that you can style and decorate for different occasions and events. 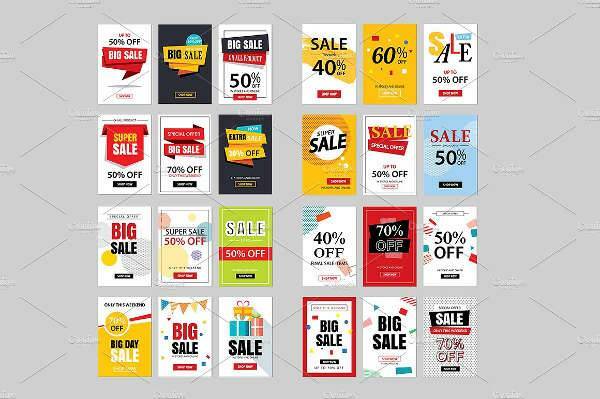 You can find many templates for event banner designs in almost every available format file, to help you promote your events. Banner designs are useful for many reasons. They are marketing tools used in products and services promotions as well as for raising awareness for businesses, companies, and causes. A banner needs to have useful and acute information that will be helpful to everyone that spends some time on studying them. Templates with banner design will be useful for those that need a way of promoting their work. Be creative and use bright colors. The visual stimulation is a strong tool to attract new customers. Provide accurate information that will help viewers understand what you offer and how to get it.